Well, the one and a half million tourists who descended on Nashville and the surrounding region in Mid-Tenn needed something to do while they were here. Sure, that thing in the sky was pretty cool but the Great American Eclipse was only going to last around three hours long with the climatic totality taking up an average of two minutes of that time. Luckily, Music City knows have to throw a party and there were tons of things to do here in the “It Town” in the days leading up to the August 21, 2017 celestial extravaganza. 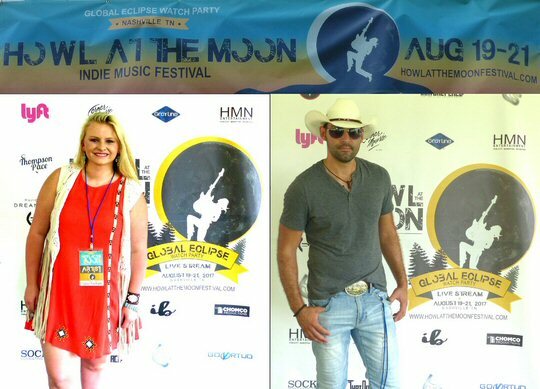 Scenes from the Howl at the Moon Festival. Mayor Megan Barry hosted a viewing party for the Music City Solar Eclipse at First Tennessee Park – home of the Nashville Sounds. The Adventure Science Center offered the Music City Eclipse Science & Technology Festival that featured three days of fun activities, exhibitors, live science demonstrations, food, music, and more. The Italian Lights Festival at Bicentennial Capitol Mall State Park added an extra day to celebrate the bright light in the sky. The Nashville Zoo and the Grand Ole Opry and dozens of other local restaurants on Broadway all got in on the act as well. 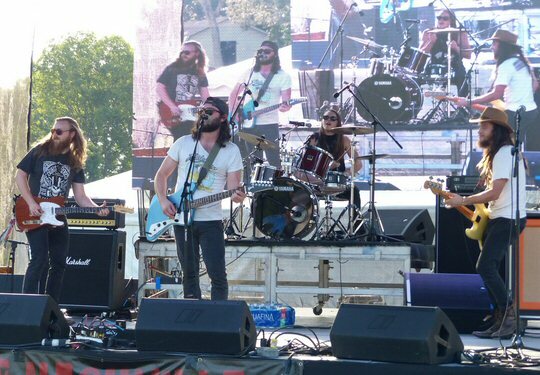 We pursued the list and decided to check out two of the many multi-day festivals taking place over the weekend beginning with the first-year ‘Howl at the Moon’ Indie Music Festival. This undertaking put the spotlight on over forty lesser known and unsigned artists. Held in a nice natural setting the event live-streamed performances for worldwide viewing and featured a backstage media area for red carpet interviews with all participating guests. While there we enjoyed meeting up and comer Dallas Remington who was a scheduled Sunday night performer. Armed with a new single “Found Her Freedom” this 17-year old from Kentucky is well on her way with a message of musical independence. Event M.C. Damien Maze hails from Quebec but he’s got a country heart and he’s set to bring his musical stylings to Europe as soon as his hosting duties in Nashville were complete. His current “Long Way Home” contains no hint of his native French Canadian accent but it is filled with anthemic and captivating country rock that should go over well no matter where the road takes him. On stage we were entertained by Alabama’s Them Dirty Roses who played authentic sweet and thorny southern rock for the masses. Scenes from the Further Festival. We also visited Further Farms in North Nashville who were holding their third annual Further Fest. 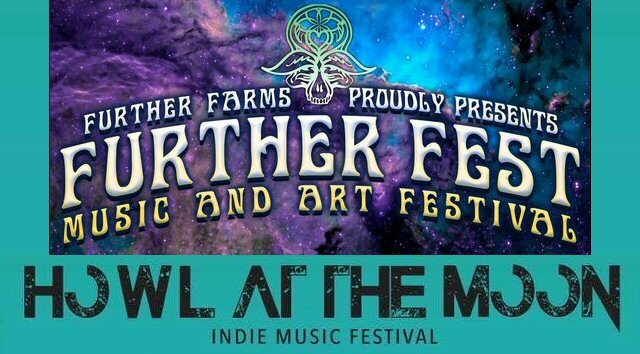 This year, Further Fest featured four full days of musical offerings ranging from jam bands, acoustic players and electronic trance artists. Regi Wooten of the famous Nashville musical clan led the Saturday night Superjam following a set of his esoteric guitar stylings. 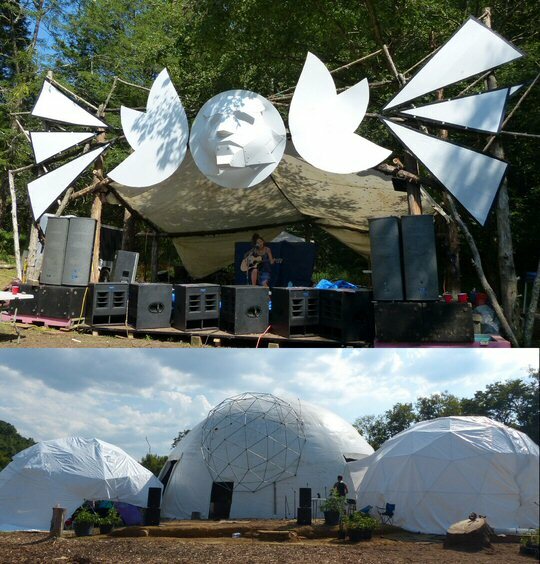 There was also camping, groovy vendors, EDM, video projections, jams and an overall hippie vibe that always attracts a dedicated niche group of followers to the farm. 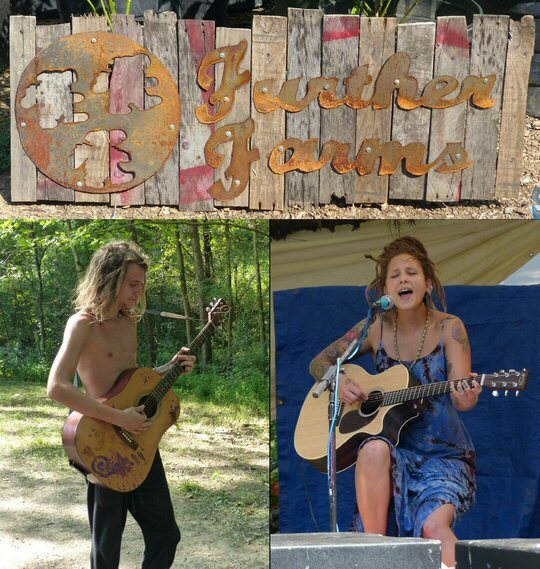 Further Farms is operated by a relatively small but passionate group of people. Further Farms are known for their sauces and spices that are sold to local restaurants and retail outlets. The growers also vend their hot line of products at the Capital District’s Farmers Market. In addition to their main line of commercial items they grow organic vegetables with no chemicals pollinated by bees whose hives reside on this farm in North Nashville. Even though it was pretty hot over the weekend there might not have been a cooler place in Music City to observe the once in a lifetime total solar eclipse that captivated the region. Now, we can all go back to our regularly scheduled programming.